“While no plan is perfect, this meets the standards we set forth in the cut, cap and balance proposal. It achieves 70 percent of the discretionary spending cuts that were in the House-passed budget. It calls for a vote on the Balanced Budget Amendment, avoids default on our obligations, cuts more than it increases the debt ceiling and rejects the President’s call for tax increases. Most importantly, however, this plan changes Washington’s spending culture by shrinking the size of the federal government, which has done nothing but grow for the past 40 years. (WASHINGTON) – Congressman Mike Coffman (R-CO) released the following statement today after voting in favor of the Budget Control Act of 2011, which responsibly cuts government spending in amounts in excess of the debt ceiling increase, requires passage of a balanced budget amendment, and prevents a U.S. default that would harm our nation’s private-sector job creators. The Budget Control Act ensures the U.S. meets its financial obligations without tax increases, while still cutting spending by $917 billion over the next 10 years. In 2012, the measure achieves $22 billion in spending cuts and it keeps spending below last year’s levels until 2016. 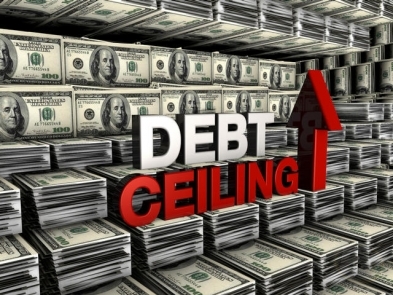 The only credible financial plan presented so far, the Budget Control Act guarantees that a balanced budget amendment is approved by both the House and Senate and sent to the fifty states for ratification before the debt ceiling is increased again. In addition, it ensures that Congress comes up with a proposal by the end of the year to reduce the deficit by at least $1.8 trillion more over the next ten years. These types of reforms will force long-term accountability and spending control. Tonight, Representative Cory Gardner (CO-04) bowed to arm twisting from Republican leaders and voted for a new proposal that could recklessly raises interest rates for consumers — raising costs of credit cards, car loans, and mortgages. Gardner backed this controversial proposal that could jeopardize the nation’s AAA credit rating and raise interest rates for consumers instead of finally standing up to his Republican leadership and demanding Big Oil and multi-millionaires pay their fair share. Leading economists have also made clear that Gardner and House Republicans failing to raise the nation’s credit limit could result in stock prices and pensions falling, home sales plummeting, Social Security checks stopping. Site contents copyright © 2019 Recorder Online	except as noted. All rights reserved. | 96 queries in 2.363 seconds.